HEATED SWIMMING POOLEnjoy a swim in your Heated Swimming Pool from April to October ! 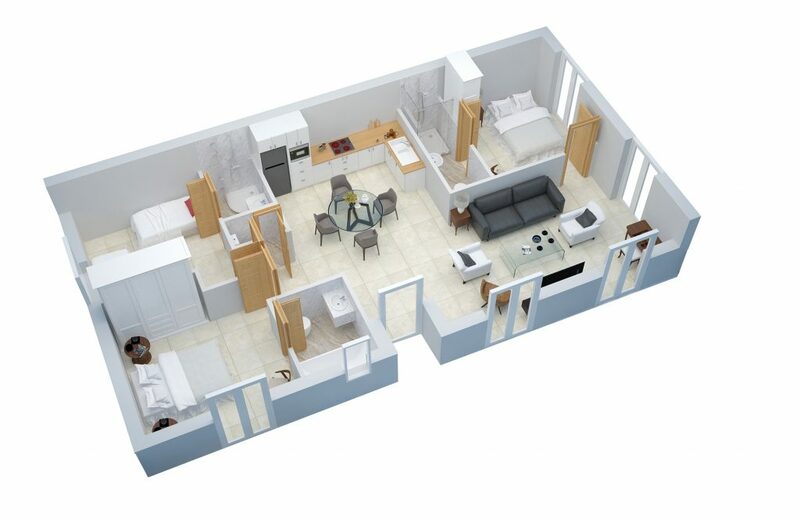 WHAT ABOUT THE APPARTMENT’S LAYOUT ? Cosy & light living room : You will feel just like home, we promise ! Fully Equipped Provençal Kitchen : Oven, Fridge, Freezer, Hotplates, Microwave & anything you need. Sitting area : The perfect spot to have lunch or diner when you can’t sit outside. WHAT ABOUT BEDROOMS & BATHROOMS ? Bedroom 1 : King Size Bed with Private Bathroom : Toilet, sink & Bath. Bedroom 2 : King Size Bed with Private Bathroom : Sink & Massaging shower. Bedroom 3 : Two double beds & Private Bathroom : Toilet, Sink & Shower. Feel free to Call or E-mail us for any requests!